Federico Borrell Garcia was born in Benilloba in Alicante, Spain on January 3 1912. 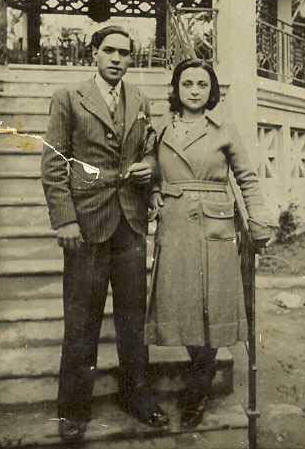 The son of Vicente Borrell and Maria Garcia, he was one of a large family with 3 brothers and 2 sisters, who lived in poverty-stricken conditions. His father, a farm worker, died in 1917 and the family was forced to move to Alcoy at the distance of 15 kilometres (Federico maintained links with Benilloba through his close friendship with Gil Doménech Monllor, who was secretary of the anarchosyndicalist CNT union there in 1936). Alcoy is a working class town with a long radical tradition. He was known to his friends as Taino, after the nickname Tanya that his mother had in Benilloba. He worked in the textile mills in Alcoy. It is not clear when he became an anarchist, but we know that he subscribed to a local anarchist paper Redencion (Redemption) in 1930. He founded the local branch of the anarchist Libertarian Youth (FIJL) in 1932. His mother died in July 1933. A man of action, he participated with members of the anarchist group FAI in blowing up an electric transformer in October 1934, one of many acts of resistance throughout Spain after the central government swung sharply to the right. He took part in the storming of the infantry barracks in Alcoy during the fight against the forces of Franco in 1936 when the civil war began. He joined the local militia, the Columna Alcoiana led by the local anarchist activist, Enrique Vaño Nicomedes. On the morning of September 5, 1936, Federico was one of fifty militia who arrived at the village of Cerro Muriano (Cordoba) to reinforce the militia’s frontline against the forces of Varela. In the afternoon Federico was defending the artillery battery in the rear of the detachment when Francoist troops infiltrated behind the lines and started shooting from behind as well as in front. Federico was shot at about 5pm and died instantly. According to records, he was the only member of the column to die in fighting that day. In his honour and that of another anarchist of Alcoy, Juan Ruescas Ángel, who died on 25th Setember 1936 at Espejo a militia column was named “Ruescas-Taino”. Controversy raged over the famous photo with allegations that it was posed and therefore fake and did not actually document the death of a militiaman. However in 1996, Mario Brotons, who had been in the Column Alcoiana as a 14-year old (!) confirmed the identity of the subject of the photo. In the process Capa’s slandered reputation was redeemed and Federico was brought out of obscurity. Federico was buried in a shallow and unmarked grave near where he fell and its whereabouts have never been traced. Bump, because it's his birthday. In particular it mentions that there were other photos of Borrell taken by Capa on the same day, and that the identification of him was confirmed by his family. And that the events were confirmed by a militiaman who was also present, and then went to check Spanish government records which confirmed the date and location Borrell was shot, and that he was the only casualty that day. 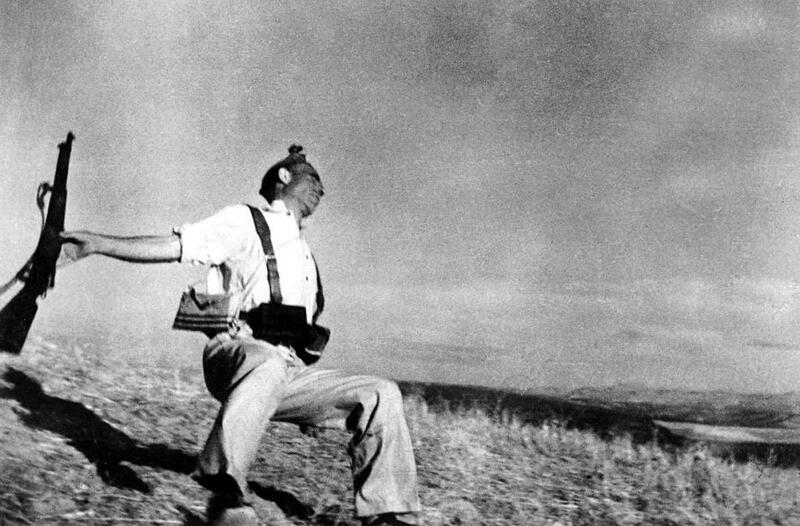 About thirty odd years ago, I read - possibly in an ‘Observer Colour Supplement’, that Capa’s old negatives had turned up, and the militiaman appeared on a reel of negatives out of chronology (i.e. taken a short time after he was supposedly dead). They printed some images to ‘prove’ this assertion. At the time I was sceptical though I balanced this by knowing that the Stalinists were lying bastards and not above massaging the truth.